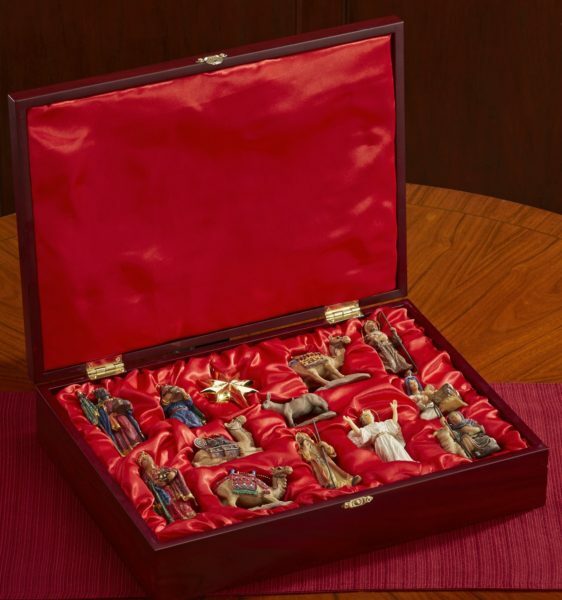 This 13 piece ornament set adds a great new tradition to trimming the tree. Positioning the kings just right so they are following the star, putting the angel so he’s just above the shepherds and making sure the donkey is close to the manger so he can keep the baby Jesus warm. These ornaments bring the Nativity story to life. 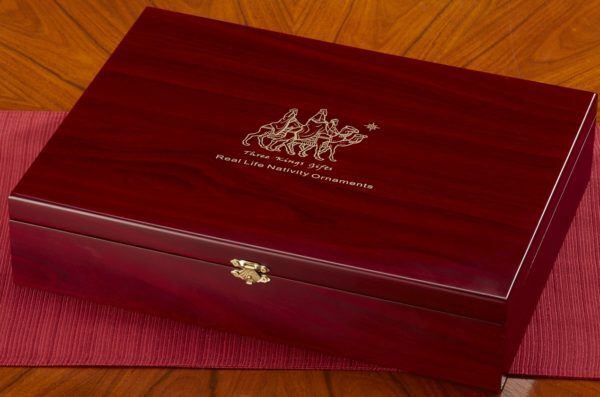 The 134 piece set comes in a satin lines, heirloom quality wooden chest. Each ornament is highly detailed and meticulously hand painted resin. The standing figures are approximately 3 ¾ inches tall and the kneeling figures are 2 ½ inches tall.